Over the last decade or so, higher education institutions in the UK have become increasingly business driven. Universities, especially, have focused on the quality of “the student experience” in order to attract students and enhance learning and personal outcomes. Huge investments in facilities and infrastructure have allowed students to have access to the best learning facilities, as well as improving the physical environment that forms a critical part of their experience. As we move into an era when universities and students face increasing financial and academic pressures, the need for student-centred spaces providing strong value for money becomes ever greater. Student accommodation plays a critical role in how first year students establish friendships which may last a lifetime; conversely, if poorly designed, these buildings can contribute to social isolation, in turn triggering academic and wellbeing issues. Chadwick Hall, at the University of Roehampton in South West London, for example, used a combination of architectural and engineering design features aimed at enhancing students’ learning and enjoyment of their surroundings. The approach earned the project a place on the shortlist for the RIBA Stirling Prize. 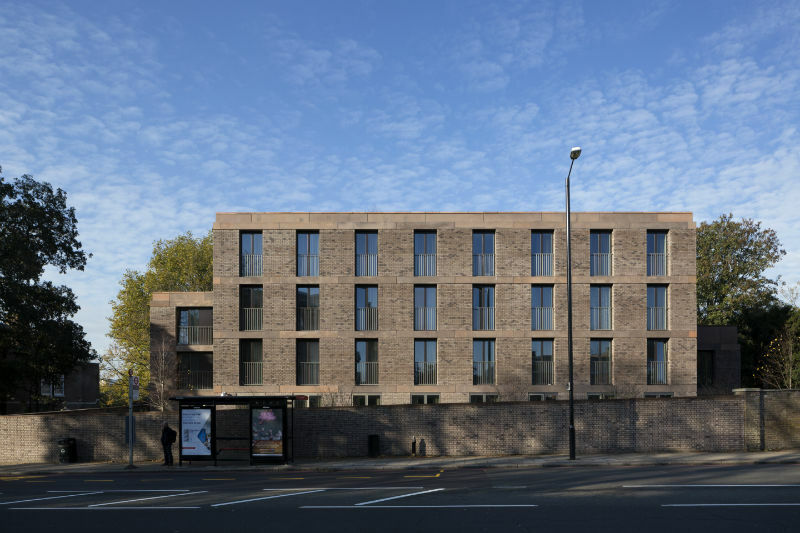 Working with architects Henley Halebrown on the £11 million project, BuroHappold provided structural engineering consultancy to develop “cost-effective and inspirational solutions” for 210 high quality ensuite student bedrooms, split across three buildings on the site. 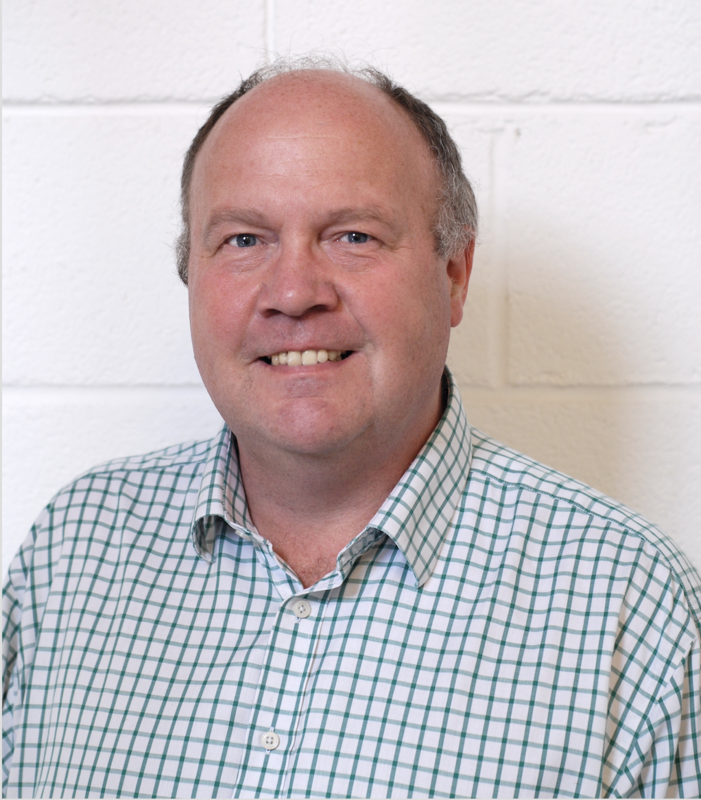 BuroHappold claims that “the smart use of space provides a stimulating environment, and the efficient structural solutions enhance internal spaces while reducing capital and whole life costs, freeing up money to be spent where it matters most”. One aim was to ensure that rooms move on from the out-of -date ‘student box’ style. Instead, many of the bedrooms include design features such as balconies, full-height windows and alcoves to create interest, character and sense of individuality. The relationship between study bedrooms and social spaces has been designed to encourage interaction between students, achieved through a number of different cluster designs. Some rooms have been arranged in a maisonette style to create a more homely, domestic feel, while others have been arranged in more traditionally, positioned around a communal kitchen/living space. Another consideration was designing the buildings to blend into the local surroundings, specifically the nearby Grade II post-war Alton housing estate and the Grade II listed Downshire House. 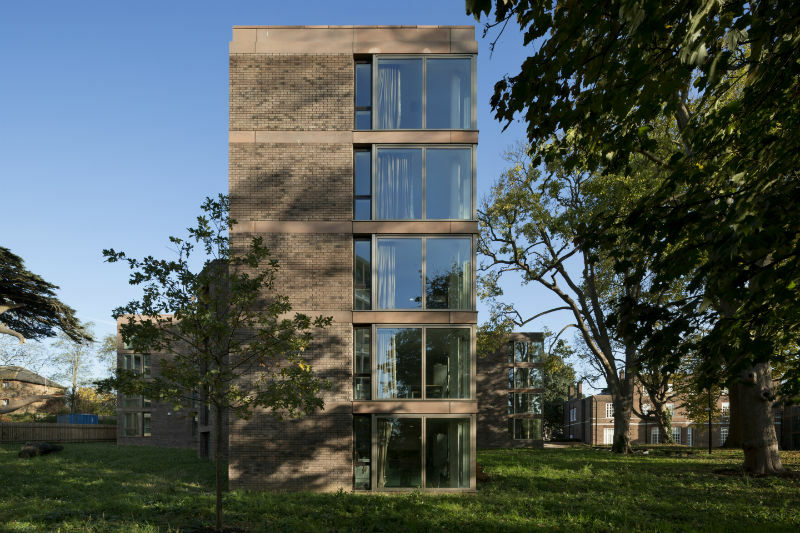 Thus, a minimal palette of materials was used: precast concrete is one of the key components of Chadwick Hall, while the two types of brick selected are reflective of the housing estate. Internal materials consist of high quality concrete for the main frame, allowing the slab soffits to be exposed, improving environmental performance and ensuring the floor construction is as thin as possible while still providing good acoustic separation. This has allowed the rooms to have high ceilings, providing an airy environment and maximising daylight and views. On shortlisting the project, the RIBA judging panel highlighted how the architects “managed to create a welcoming and calm space by careful master planning”, responding to the surrounding streetscape and listed building structures, as well as the wider landscape.